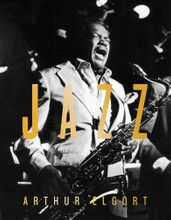 Gift books on Music & Film – our staff feels love for these top film and music titles of 2018, including books on Andy Warhol's cinematic masterpiece, "The Chelsea Girls;" Michael Jackson; Johnny Cash's famous prison concerts; Disco; The Ramones; "Rosemary's Baby;" Voguing and the best-seller of all best-sellers, "Led Zeppelin by Led Zeppelin!" 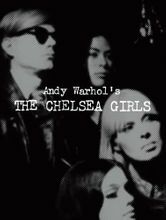 So glamorous, and yet so rich in cinematic esoterica, Andy Warhol's The Chelsea Girls is the definitive treatment of the artist's groundbreaking 1966 split-screen masterpiece. 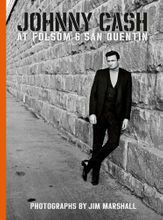 "A rare treasure: a reference work of great beauty and discerning scholarship," according to Publishers Weekly, this super-seductive hardcover also received rave reviews in W, The Cut, Gayletter, Dazed, Artnet and AnOther Magazine, where Jack Moss writes, "The visual impact is best celebrated in the newly digitized stills in the book, which seem to best capture Warhol’s mission: to elevate the everyday to the extraordinary, to make the outsider an insider, and a piece of art in the process." 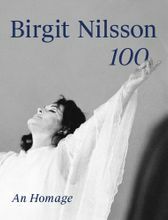 Published to accompany the blockbuster traveling exhibition at the National Portrait Gallery, London (en route to stops in France, Germany and Finland through 2019), this volume is so much fun. 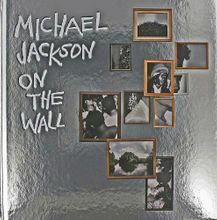 Presenting artworks on or about the one and only King of Pop—by the likes of Isa Genzken, KAWS, David LaChapelle, Glenn Ligon and Andy Warhol, among others—this volume is ambitious and thought-provoking. 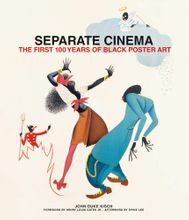 Reviewed in Artforum, Artnet, AnOther Man, CNN, Gayletter, and The New York Times, where Thomas Chatterton Williams writes, "Jackson’s own face—through a combination of fame and relentless surgery—became a mask, reflecting our own biases and ideals while concealing a deeper truth. His art and lasting appeal, on the other hand, function as a reminder to consider our own disguises, and what we might gain by letting them go." 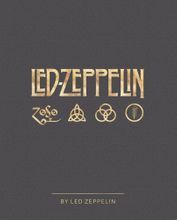 It would be a challenge to find a band, musician or producer today who doesn't have Led Zeppelin or one of their direct musical descendants in their lineage. 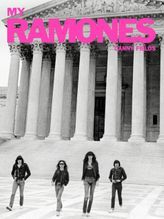 Now, the seminal band has authored their own book, which Kelly Caminero of the Daily Beast describes as "a 400-page time capsule into the band's exceptional career [that] sequentially depicts artwork, illustrations and curated photographs personally chosen from the band's never before seen archives." 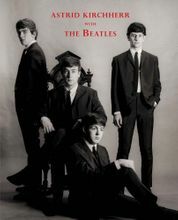 Billboard, The Guardian, CNN, Esquire, Rolling Stone, Mojo, CR Fashion Book and others extoll the vivid illustrations of the band's history that at the same time reveal the human story of the members of the band and strengthen their myth. Featured in the Rolling Stone, British GQ, Guardian, Daily Telegraph, Le Figaro and Cigar Aficionado Holiday Gift Guides, 2018! 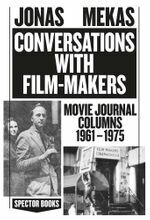 The holy grail of early disco writing, Vince Aletti's mid-70s columns for Record World are finally available again in this new edition of the cult collection, The Disco Files 1973–78. 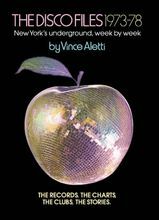 "Vince Aletti is disco’s greatest chronicler, the first writer to cover the emerging scene," The Paris Review writes, while Bookforum calls Aletti, "a first-rate disco first-responder" with "catholic tastes, boundless curiosity and a genial voice." 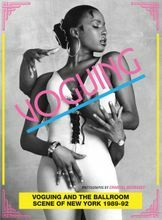 Aletti chronicled disco's "rise from the underground to the top of the charts, introducing Black and Latinx gay culture to the world." —Miss Rosen, AnOther Man. Reviewed in AnOther, the Wall Street Journal, the Washington Post and elsewhere, this is the definitive illustrated history of Roman Polanski's 1968 Satanic horror masterpiece—covering everything from director and casting choices to the kudos and condemnation it received upon its release. The Globe and Mail warns, "on the film’s 50th anniversary, this study and the unseen behind-the-scenes saga is almost as unsettling as the movie itself." During its making, Polanski fell seriously behind schedule and was almost fired; star Mia Farrow faced an ultimatum—career or marriage—from husband Frank Sinatra; and actor John Cassavetes nearly came to blows with his brilliant nemesis: Polanski. 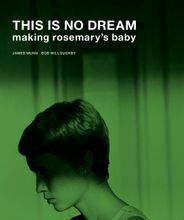 Revisit this classic with what Vanity Fair's Laura Jacobs calls "an insightful study of the film." 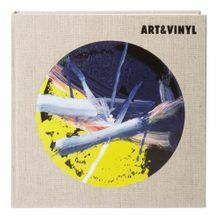 The synthesizers, the records, the club, the clothes, the sound, the light: all of the design that goes into the sublime overstimulation of a night out is celebrated in this gorgeous volume. Pin Up's Tamar Shafrir writes, "The Vitra show's highly comprehensive catalog, which takes the form of a nightlife-design encyclopedia... revels in the ability of design to create alternative spaces for interaction." 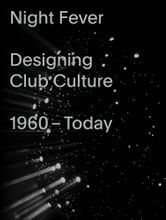 And Erin Schwartz of Garage notes that "clearly, club design radicalism is not dead," reflecting upon the vast scope of Night Fever—from vintage Studio 54 and Palladium designs to new advances by places like London's Ministry of Sound. Read about it, then live it.